Popstar Rihanna today, attended the European premiere of “Ocean’s 8″ where she plays a con artist alongside Sandra Bullock, Cate Blanchett, Anne Hathaway and more. For the premiere she wore a shimmering green-gold dress which left one shoulder bare and had a low plunge neckline. Riri’s dark hair was swept into a stylish topknot which complimented her bold red lips as she showcased her legs in towering gold heels. 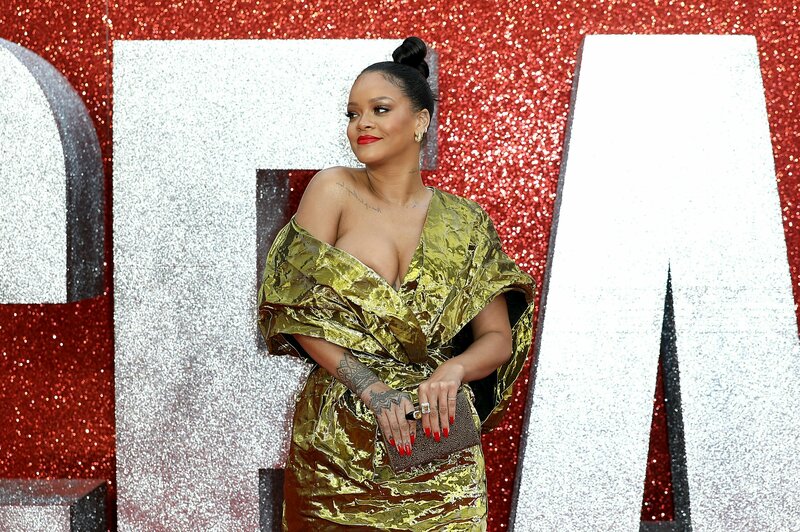 0 Response to "Rihanna Stuns at European Premiere of #Oceans8"